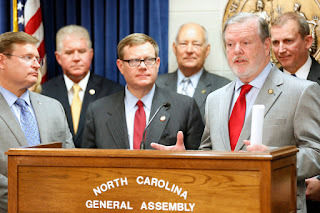 NC House Rep. Jonathan Jordan and NC Senator Deanna Ballard -- and every other Republican incumbent in the General Assembly in Raleigh who answer to Phil Berger -- are going to howl at the moon all year about how they've been such champions of education. It's reelection year in North Carolina, duh. If you believe them, then you're a candidate probably also to believe we're watching a really stable genius every day on Twitter. 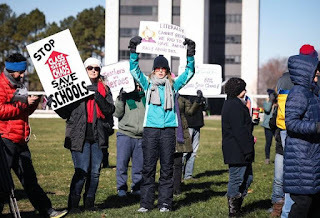 What they've done for teachers in Raleigh is mainly grudging and done obviously to sway the vote among underpaid and under appreciated public school teachers, some of whom got a pay raise from the General Assembly this year -- but not all of them, especially not the most veteran teachers. Even underpaid and under appreciated public employees recognize a political bribe when they see it. They'll take the money, sure. But they're also taking names. The Republicans in the General Assembly have squoozed public education every chance they got, and since 2011, they've had a lot of chances. North Carolina public school teachers remain well below the national average in compensation, even counting the raise this year. And look at the message it sends -- the General Assembly's solicitous enabling of so-called charter schools -- many for-profit corporate and church schools with very little required of them in the way of accountability -- funded with our tax dollars via a voucher program to send the children of certain households to those charters essentially for free. The Berger faction wants to replace public education with a whole new system that aims to make an entirely different set of people a lot of money. Where will that leave our dedicated teachers? What else? Big cuts to the Department of Public instruction that includes "money for coaches ... [and] temporary employees, travel expenses, supplies, even money for phones and postage" (NandO). Teachers are expected to go deep into their own pockets to supply their classrooms. 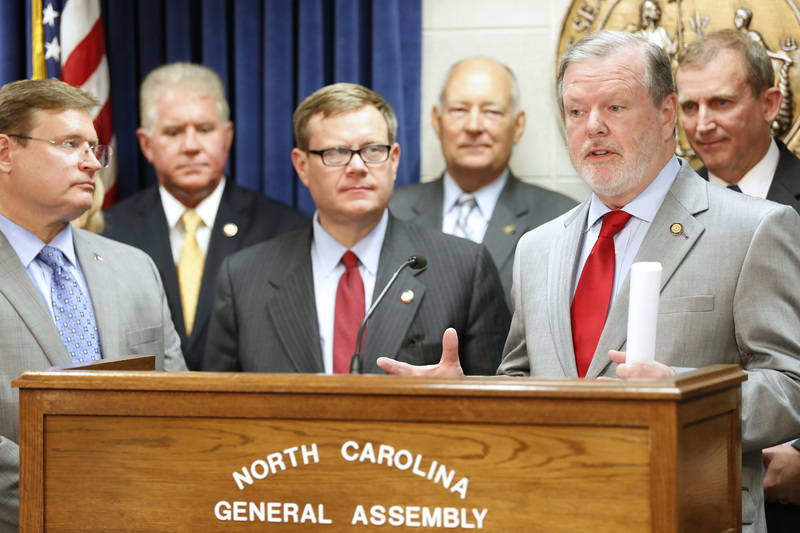 But here's the current biggie in how Phil Berger and his boys are screwing public education in North Carolina. The General Assembly passed a law calling for the average class sizes in kindergarten, first, second, and third grades to be no higher than 17 students. But ... wait for it ... what would seem admirable on the surface -- reducing class sizes -- without any funding to cover the salaries of more teachers, their law becomes an outrageous additional burden on school districts everywhere. To achieve the mandate of no more than 17 in a kindergarten, first, second, or third grade classroom, the Charlotte-Mecklenburg school system, for example, would have to hire 353 more teachers, and Wake County would need 431 more teachers (according to Anne Blythe), and every school system everywhere will be seizing corners of libraries and music rooms and recreation spaces for new classrooms for all those K-3 students, seated so there's no more than 17 of them to a room. Meanwhile, when they get to 4th grade, they'll be 36 of them per classroom, and maybe 50. Teachers rallying in Raleigh on Jan. 6, 2018.
sizes in grades 4-12 and probably reassign higher grade teachers to cover new K-3 classrooms. Indeed, they do. We're not going to forget that Rep. Jordan and Sen. Ballard and all the yes-men Republican members of the General Assembly have much to answer for.